Ok, I know you’re sick of this by now, but…Just. One. More. Time. At least I’ve managed to pick one of the two concepts. I went with the more literal one, which also happens to use a face. The research shows that people respond to faces, and it also shows that I respond to research findings. So there you go, one decision made. I’m practically in love with this new model. Not only her facial expression is spot-on, she’s also not stick-thin, like most of the pretty blond girls on Shuttersock. At one point, desperate, I was going to hire a model and a photographer, but I don’t think I could wish for a better girl. I’m also happy with the background, which (when I pay and download a proper photo) shows a view of a downtown city. The colour is also fitting. The man’s arms read better, but some people were confused and thought Isa just has “man hands”. May have to look more. Not at all happy with lettering, but being an optimist, I’m sure a solution will come to me, maybe in a dream or in the middle of a meeting. So there you go. One baby step closer to the finish. Brilliant ideas and suggestions would be much appreciated! I know, I’m still weeks away from actually seeing my novel on Amazon, but being a planner I just had to think of a few marketing ideas. For if a book hits an overcrowded marketplace and no one is around to read it, does it make a sound? I mean, of course it doesn’t unless it’s an audiobook, but you know what I mean. I looked around to see what others are doing. It’s not pretty. On Twitter, you get spammed by messaged from authors begging you to read whatever it is they wrote. Some of them send out a message once EVERY MINUTE. What can it possibly get you, other than getting blocked, and fast? I can’t even understand some of those messages, #because #they #are #so #full #of #hashtags. 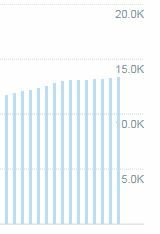 Most authors are following other authors, and thus the circle of spam is complete. I was thinking of doing a blog tour, but the problem is, I’m really shy for an extrovert. Sure, I can chat up a stranger at a party, but I can’t bring myself to ask for help. How do you even contact another writer with “Hey, can I blog on your site about my awesome new book?” without being blocked and reported? I might have to figure this one out eventually, but not now. 1. Shock and awe tactics. Like paying a million dollars for a gorgeous blonde to run naked through a footy game, with “Shizzle, Inc” painted across her bum. It worked for Virgin. The problem is that I don’t have a million dollars. I could of course do it myself, but then I could lose my job and possibly my fiancé. For now I’m going with a relatively lame idea of hanging a massive poster off the pedestrian pass over King’s Way. 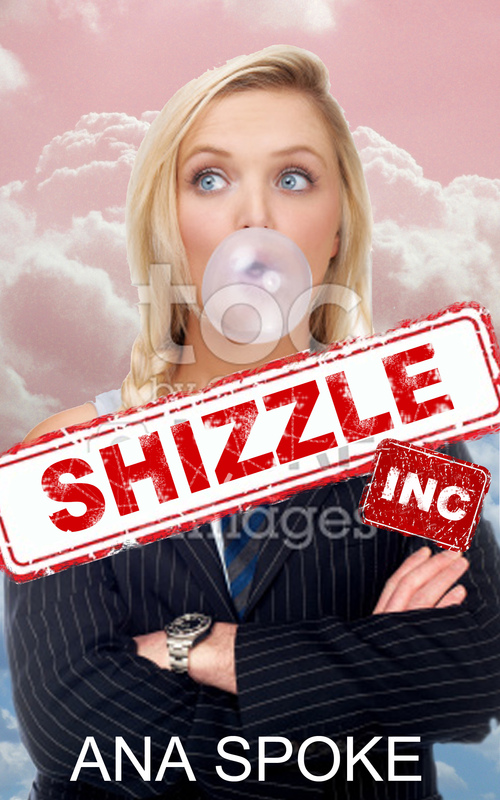 Saying something like #ShizzleInc and maybe a pic of a blonde. It needs work. 2. Begging my readers like they’ve never been begged before. Forget spam, I say. Do it in person. I’m going to print the novel cover and as much of the beginning as I can fit on a folded A4 sheet, so it looks like a mini-book with details on how to download the real thing at the end. Then I will stand at one of the CBD train station in the evening peak hour and hand them out to women in their 20-40s with lame come-ons like “Something to read on your way home?”. That’s legal, right? 3. Reinventing the already invented. Thinking of posting a few chapters on Twitter, 140 characters at a time. I don’t know if it’s even possible or wise, but I will try. Cause that’s how I roll. 4. Creating a Shizzle, Inc virus that delivers copies of the book to every desktop in the world. Yeah, you can scratch that one. I’m still not sure how computers work. That’s about all for now. I wish it was a nice fat list of ten. If you have any suggestions, I’d really appreciate them, the crazier the better! 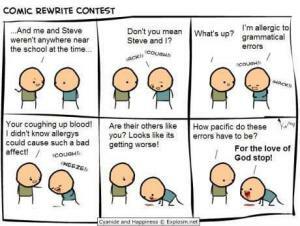 It’s not often that you come across something so educational and hilarious at the same time. Do you prefer the apple or the orange? 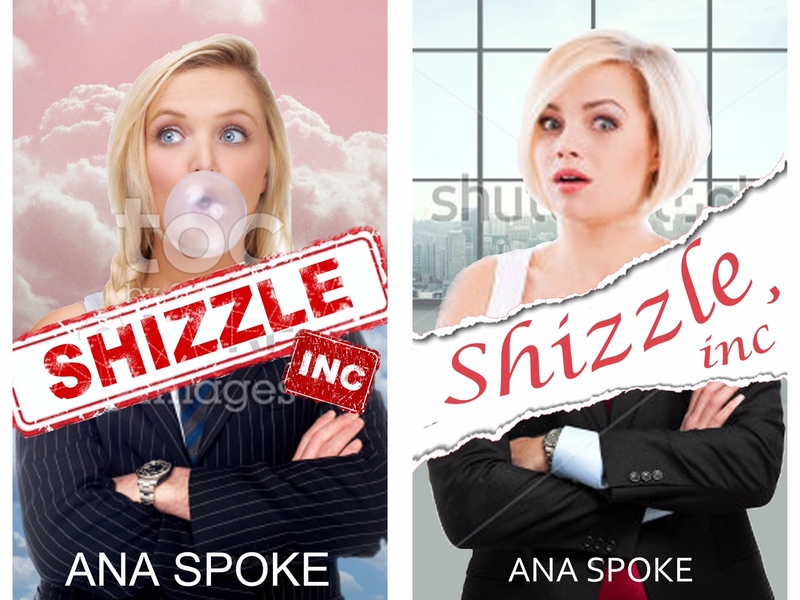 Well, now that I’ve decided not to use the pro to design my book cover, its time to put my Photoshop skills to where my mouth is…You may recall my frustration at the designer’s attempts to create a cover for Shizzle, Inc. Some of you have actually really liked his first concept. Choosing one is so hard! I know, they couldn’t be more different…so which one do you like? The apple or the orange? That would have been the list if this article was entitled “A single most important thing I’ve learned”. But it’s not, so there are ten more below. Which I guess makes it eleven…never mind! Anyway, after getting eight quotes and four samples from Australian and American editors, I chose Lu Sexton of A Story to Tell to copyedit Shizzle, Inc and I’m blown away with the results. To be honest, I had a lot of reservations about paying for editing. After all I’ve already had a structural edit; I’ve revised the draft no less than a hundred times myself; I speaka English real good. Handing over cash for a promise of making your draft better is scary, even if that promise comes with a professional reputation and an exceptional sample edit. 1. Confusing turns of phrase, such as “my destiny was to be discovered”. Isa thinks she is meant to be discovered, but Lu thought it reads as if Isa is about to find out what her destiny is meant to be. I couldn’t agree more. 2. People jump off bridges, not from them. Snakes are venomous, not poisonous. 3. How often my characters “waived” their hands and got their feelings “crushed”. 4. Continuity and circumstances not matching what characters are doing. It’s lunchtime, but Isa is not hungry. Dress is matte in one sentence and shimmery in the next. 5. Explaining things too much. Once the character is in a lobby, you can call it “it” and not have to remind the reader that we are still talking about the lobby. They will get it. 6. Character’s voices not matching their choice of words. The posh evil antagonist slipping into slang, or dim Isa using formal speech. 7. Impossible combinations of actions, such as “I managed to close my mouth and said”. 8. Rhythm. Amazing how cutting a few words or moving sentences around improved the flow. For example, when describing a person, its awkward to move from face to shoes and back to face. Unless of course it suits your character, which in my case it didn’t. 9. Using more contemporary references. It’s hard to pretend to be a girl half your age. Twenty-year olds would compare massive speakers to those that can be found at a Skrillex concert, not Rolling Stones. 10. I have writing tics. Several of them. Everything was “something-looking”. Metaphors are great, but there are more interesting ways to describe them. Most of the suggestions were not just track changes, they were accompanied by comments explaining the reason for change. Not only that, I got a separate style sheet, to help my proof reader. I didn’t know those existed! I could go on, but this is starting to get embarrassing. Plus, as we know, numbered lists attract more attention, and what is better than a nice fat top ten? So keep on writing, and start a savings account for the copyedit. You won’t regret it. When does it pay to pay a pro? I hated it on first sight, but just had to check on Twitter. Overwhelmingly, everyone else hated it too. Someone even said the lips and bubble gum look pornographic. Great. I’ve pulled the plug and asked for my money back under the designer’s 100% satisfaction guarantee. Not looking forward to their reply. Not sure yet if I’m gonna get anyone else or do it myself. One thing for sure, if I hire another designer, he or she will need to be local and willing to meet with me to discuss ideas before photoshopping bejeezuz out of stock images. On other hand, I could not be happier with the copyeditor! I will post a more comprehensive review after I’m done going through literally thousands of her tweaks. Truly a value for the money and a must do exercise.